Long time no post. Been a little busy with other projects lately. Wait, that’s not what you were thinking? Oh, you mean that other thing? Right. Yeah, so turns out I’m pregnant. Or expecting. Or pretnet, or praganat, or pregananant or however you want to call it (seriously, watch that vid). I’d say “knocked up” if only it were that easy. This fetus was made with love and science. I’m due in July so I need a few wearable pieces in my wardrobe that can get me through the next few months. 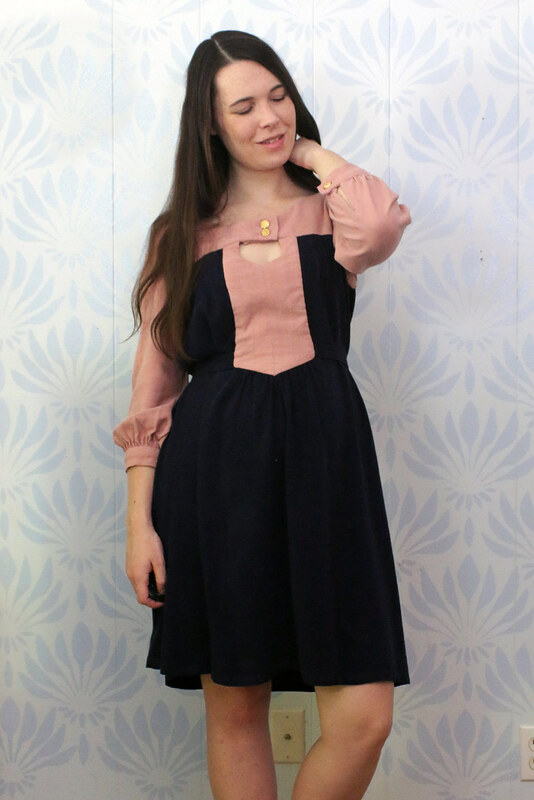 This is the Anouk dress by Victory Patterns which is a pattern I made once a long time ago. But then that dress was too big for me so I gave it away. If only I had kept it for another 5 years I totally could’ve worn it now! Instead, I just have a new excuse to make it again. 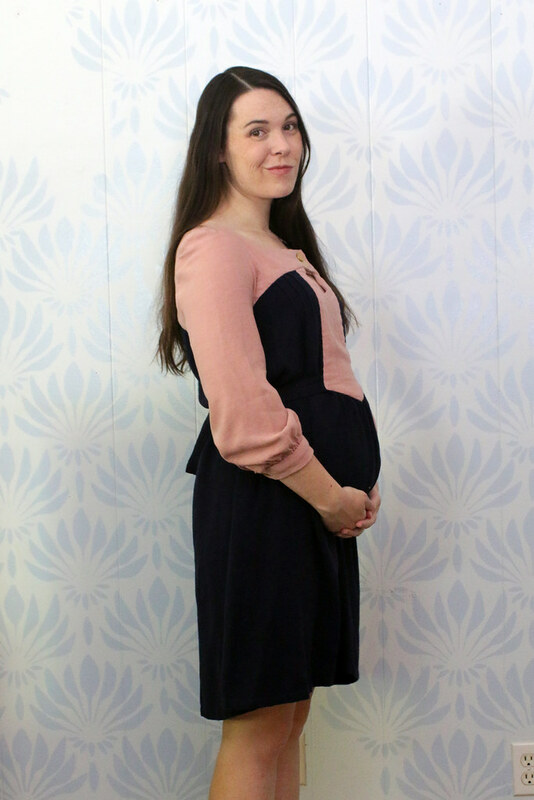 This isn’t a maternity pattern but the shape is very tent-like with ties at the waist (difficult to see in these photos) making the fit adjustable and good for a growing belly. I made the dress version with the sleeves from the shirt version. Both fabrics are viscose/linen blends from La Mercerie. I love when a site carries multiple colors of the same fabric. 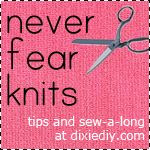 Makes it easy to color block without worrying the weights of the fabric won’t match. I love the color combo of pink and navy and this shade of blush pink (rose gold? millennial pink?) is super popular right now. My skin is naturally pink-toned so I don’t think this is the most flattering color on me but hey, I love it and I’m pregnant so I’m going to wear whatever the heck I please! The one problem with the design of this dress is the keyhole. 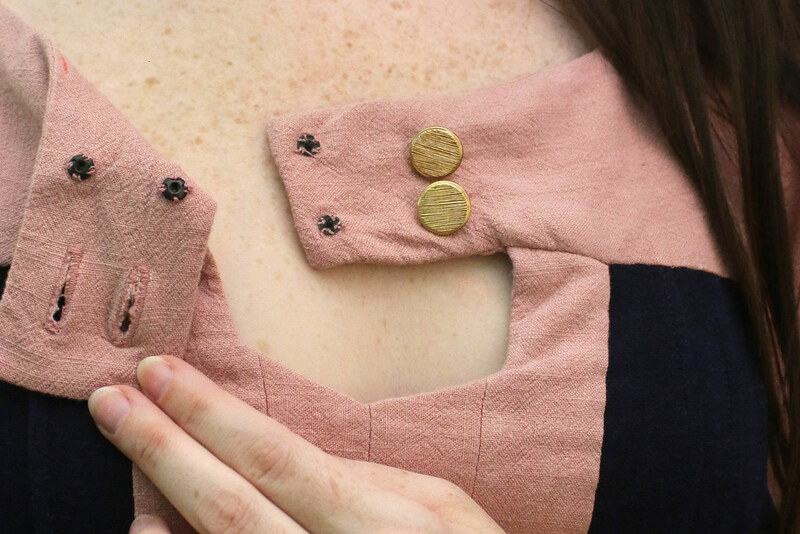 It’s also the coolest detail on the dress. Problem is, since the entire weight of the dress is supported by the yoke, all that tent-shaped fabric drags the dress down and that keyhole creates a weak point. Even with added interfacing in the yoke and front sections, and extra snaps on the overlap flap, the keyhole seems to pull open over time. I had the same problem with the first dress I made and in this version, I can only wear it with one specific bra or else the bra edges show in the little opening. 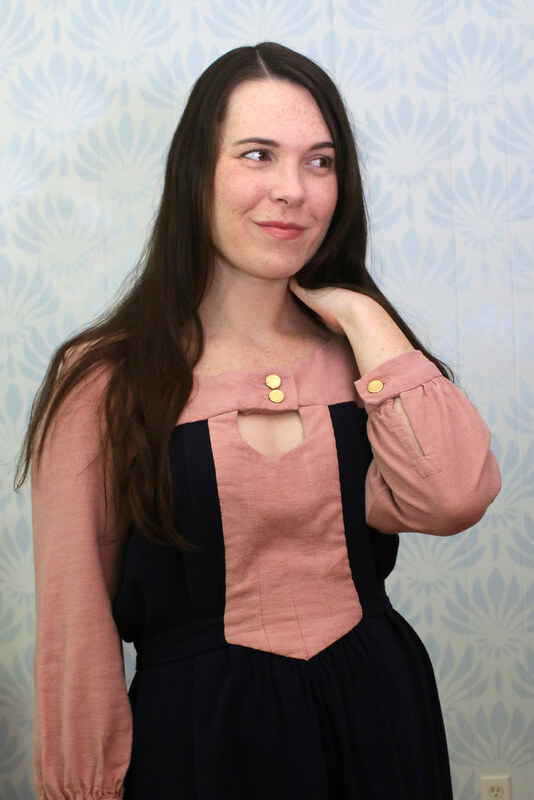 The only alternative I see is to sew the yoke in a strong, tightly woven medium-to-heavy weight fabric and use a lightweight fabric for the dress section. Or omit the keyhole all together. The textured buttons came from my stash. I like the shiny gold mixed with the pink. I’m planning to wear this dress to an outdoor wedding this weekend. It’s a great little dress for spring and good for maternity and post-maternity-wear!